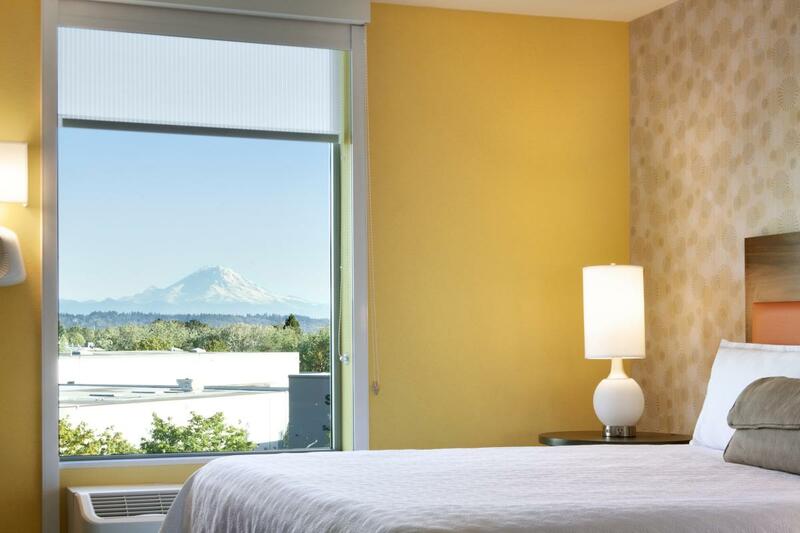 Immerse yourself in the comforts of your own home at the Home2 Suites by Hilton Seattle/Southcenter, WA. 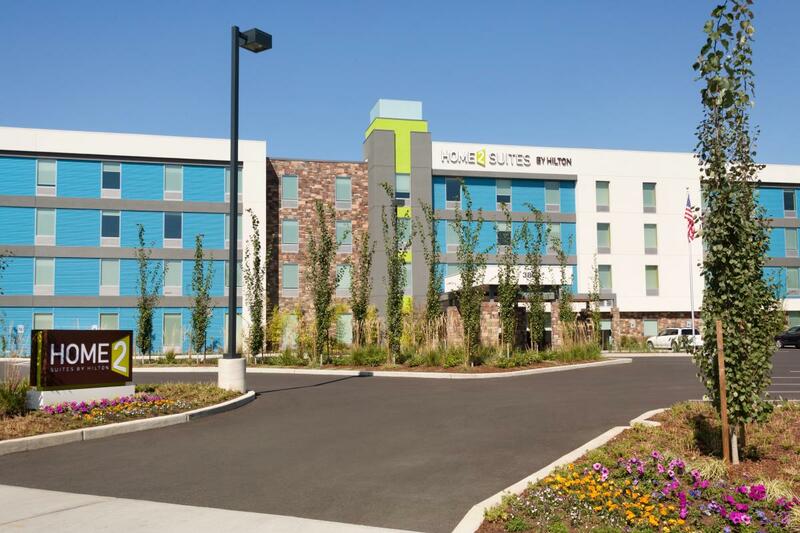 Ideally situated near Boeing Renton, Providence Health Systems, REI HQ and the Seattle-Tacoma International Airport; convenient access to major freeways, delectable restaurants, shopping and outdoor recreation. 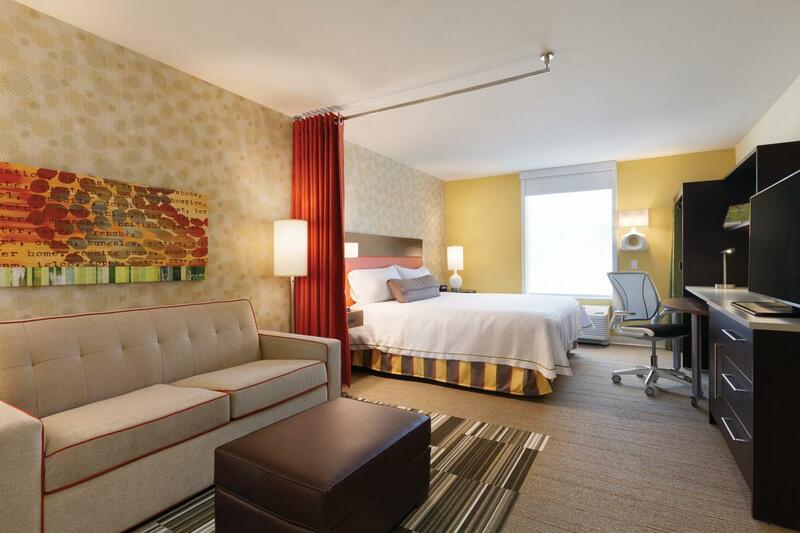 Modern and eco-friendly, our studio and one-bedroom suites offer an inspiring environment that allows for greater productivity or to simply relax and unwind. The iconic ‘Working Wall’ is smartly designed within each guest suite and is a collection of functional spaces including a kitchen with a full sized refrigerator/freezer, sink, dishwasher, cookware, dishes and flatware; a business area that provides an easy-to-move table so you can choose your own work space; and an abundance of storage options. Our luxurious beds are wrapped in microfiber sheets, which are especially soft and durable. An iHome alarm clock, large flat panel TV, complimentary Wi-Fi throughout and a living area featuring a Queen sized sleeper sofa and nesting tables complete your Home2 experience. 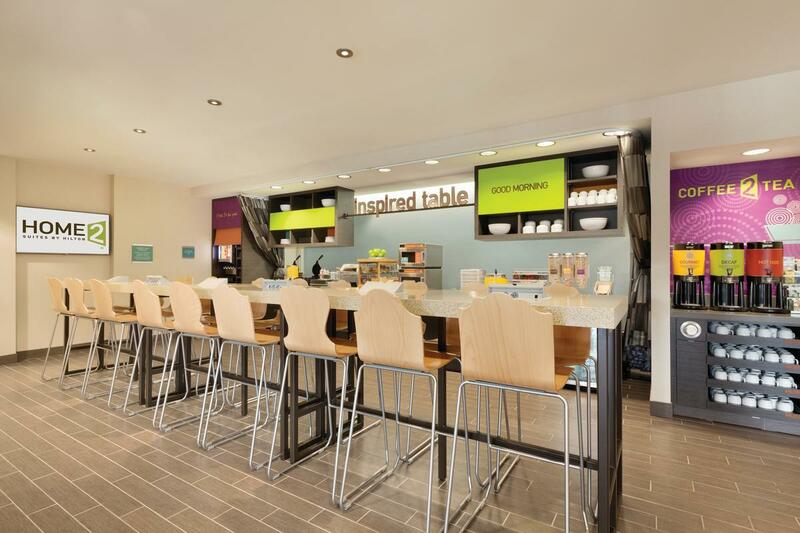 Before heading out, start your day with a complimentary breakfast at our Inspired Table. No time for breakfast? Pick-up one of our delicious Artesian breakfast sandwiches and a beverage for the road. 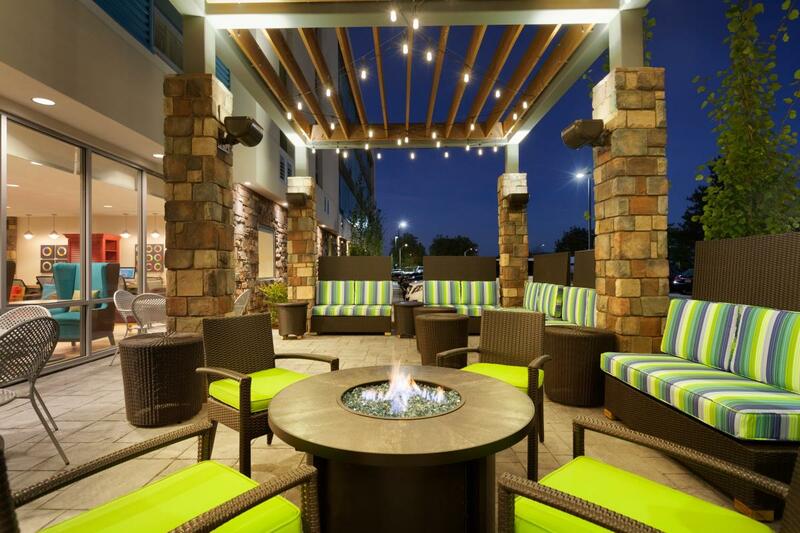 A total of 1,500sqft of event space is perfect for meetings or social gatherings and is located on the main level. Looking for more? 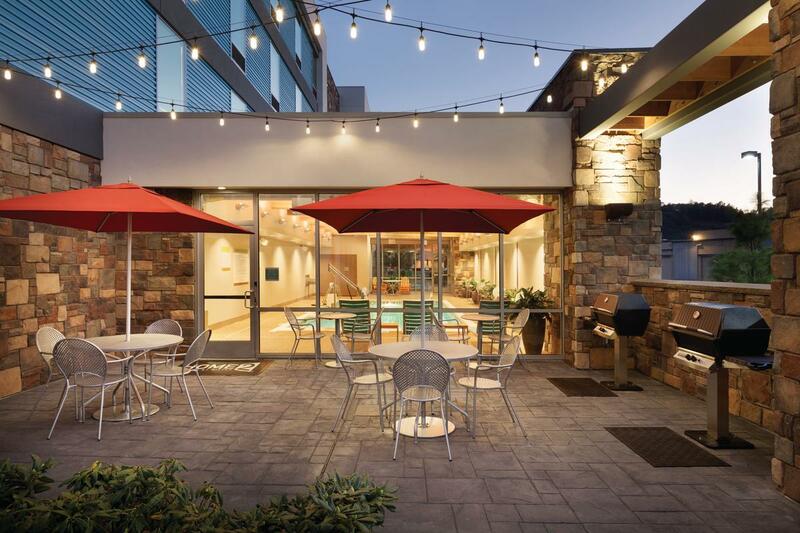 Take a swim at our indoor saline pool, discover the Spin2Cycle; Home2’s innovative fitness and laundry facility, rejuvenate at our outdoor fire pit or treat family and friends to an outdoor dining experience on the patio at our grilling area. Welcome to your Home2!